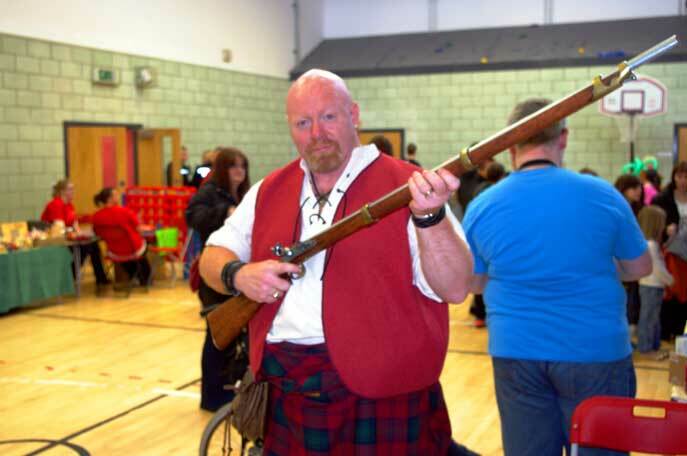 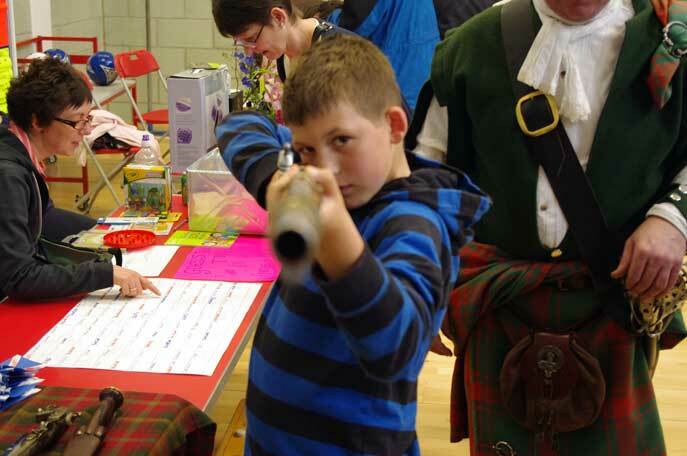 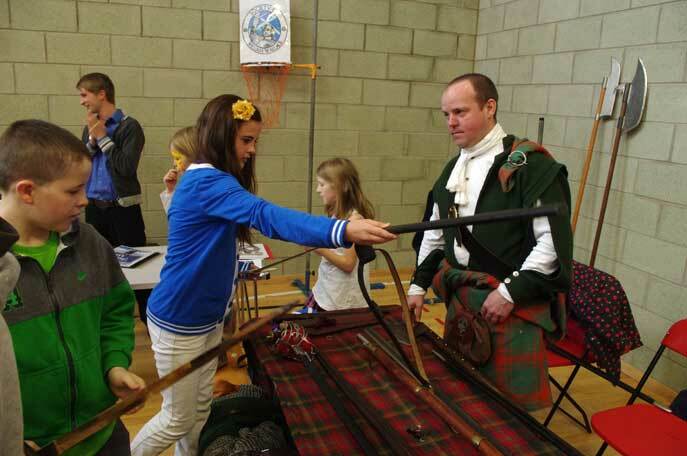 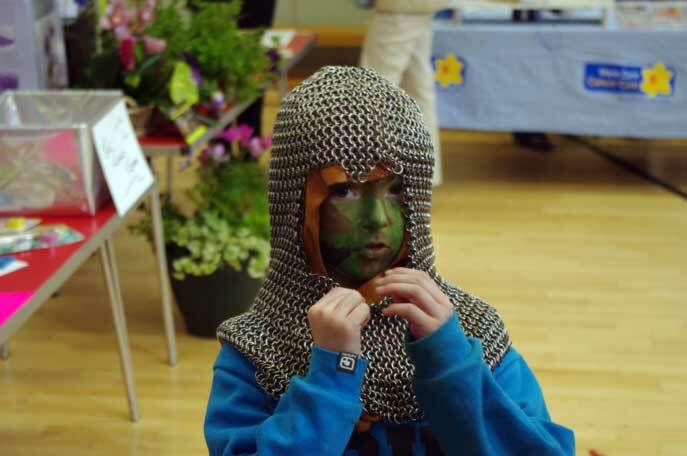 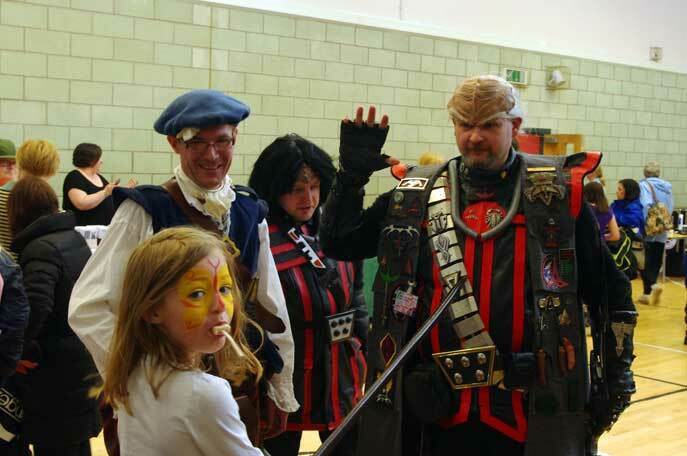 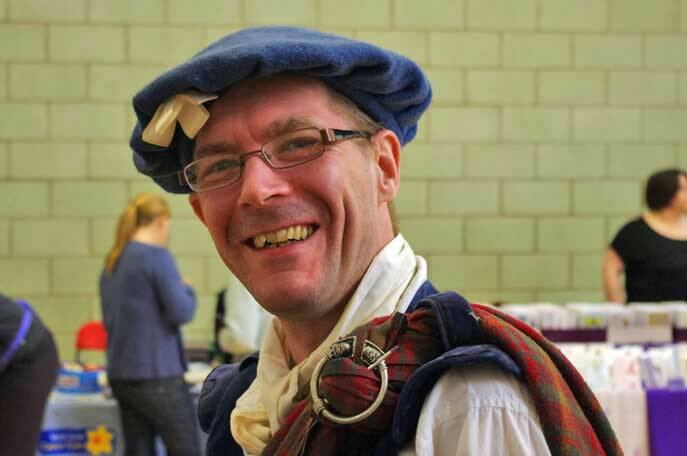 The Society Of William Wallace were once again invited to attend the Wallacewell Primary School fun day to tell the kids of all the rich history on their doorstep. 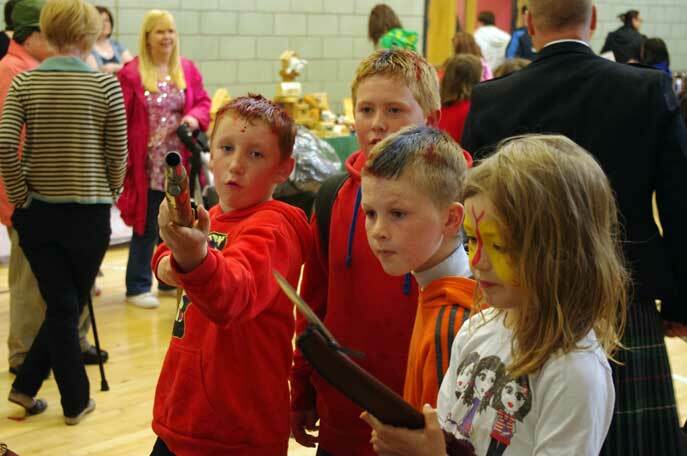 This was our fourth year to be asked and as always, we were only to pleased to take the school up on the invitation. 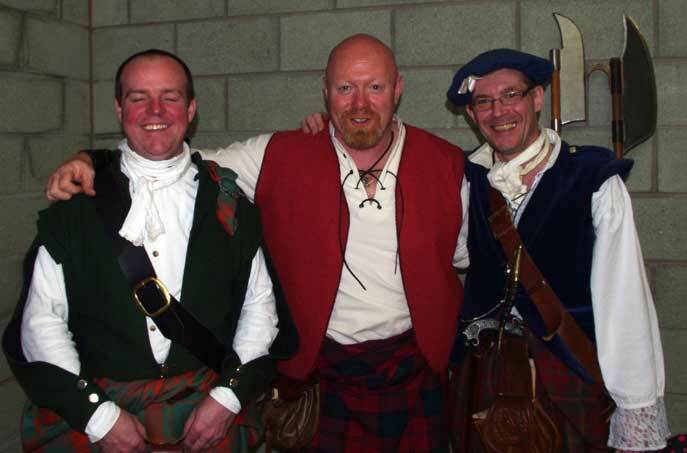 Unfortunately this year it fell on the same day as the Avoch commemoration so Society members Gary Stewart, Andy Middleton and George Boyle decided to man the fort, literally, at the schools annual fun day. 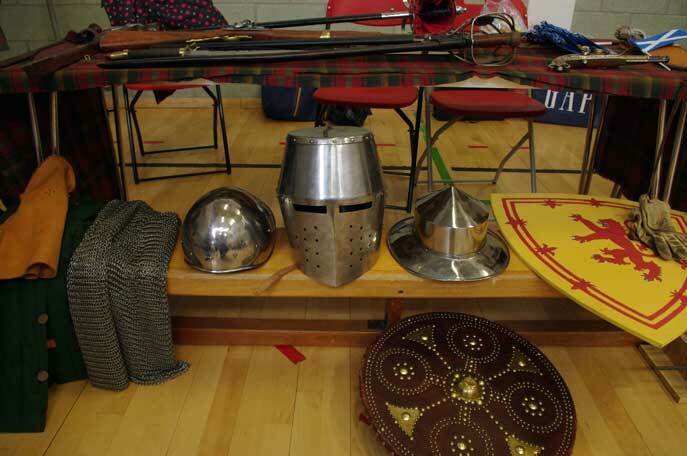 And it was fun, the three of us together brought enough weapons to start a small invasion of a country not too far from us and given the children's enthusiasm at using the weapons we would have had plenty of volunteers. 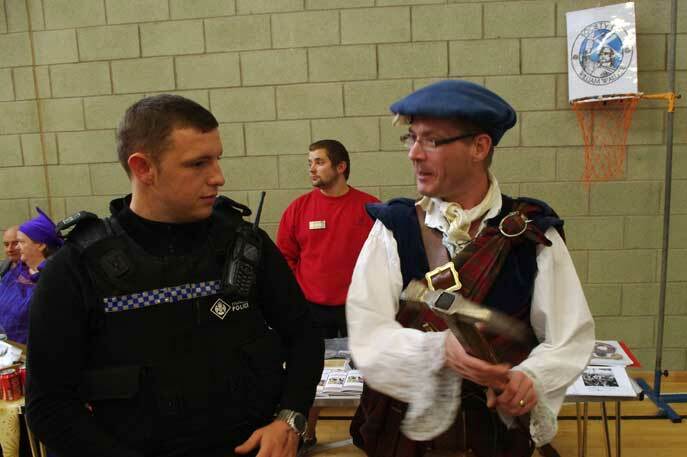 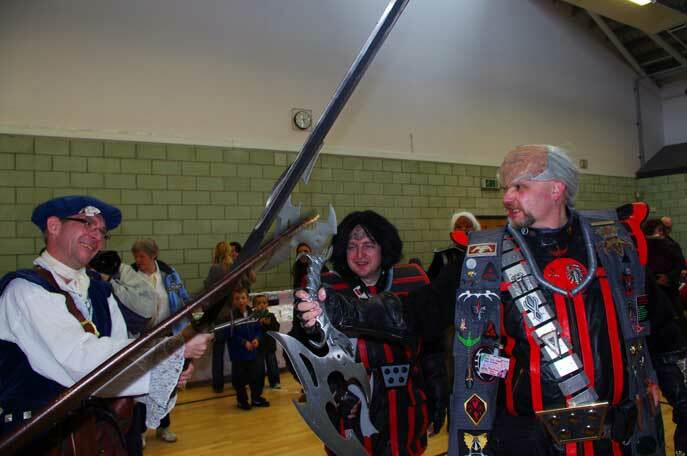 The local constabulary were quite interested in our collection of nasty medieval weapons and came over for a little chat just to make sure we weren't nutters, we managed to convince them we were quite sane and could be trusted with pointy things and children. 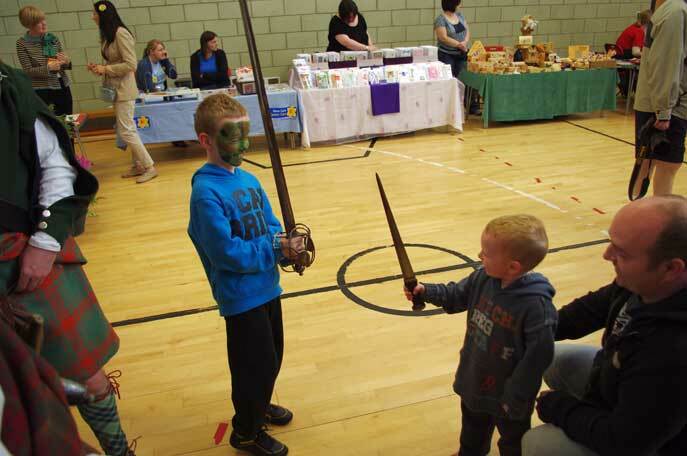 Unfortunately the weather was not too kind to us and we were inside for the first time but the event was well attended, and the kids all enjoyed talking to us and getting to hold the weapons, some of them were just a wee bit too keen on the pointy sharp things on display, but no-one got hurt and with our expert supervision hopefully the kids at Wallacewell Primary learned and enjoyed the experience as much as we did.